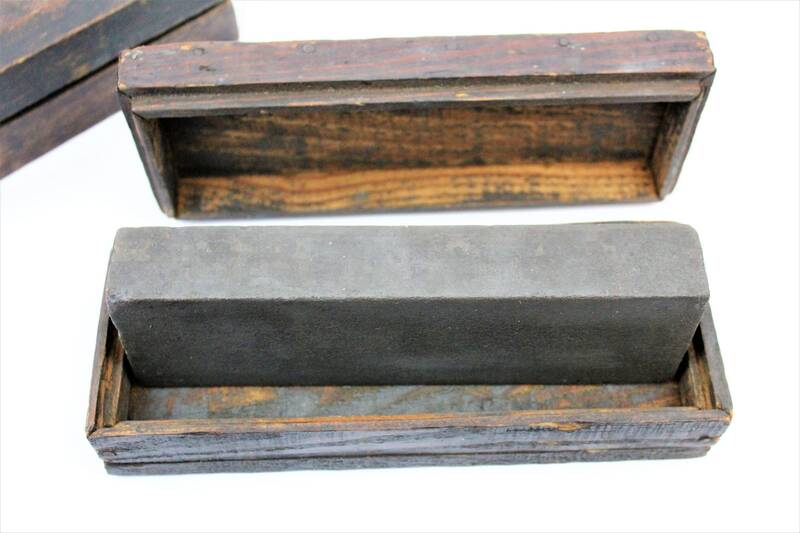 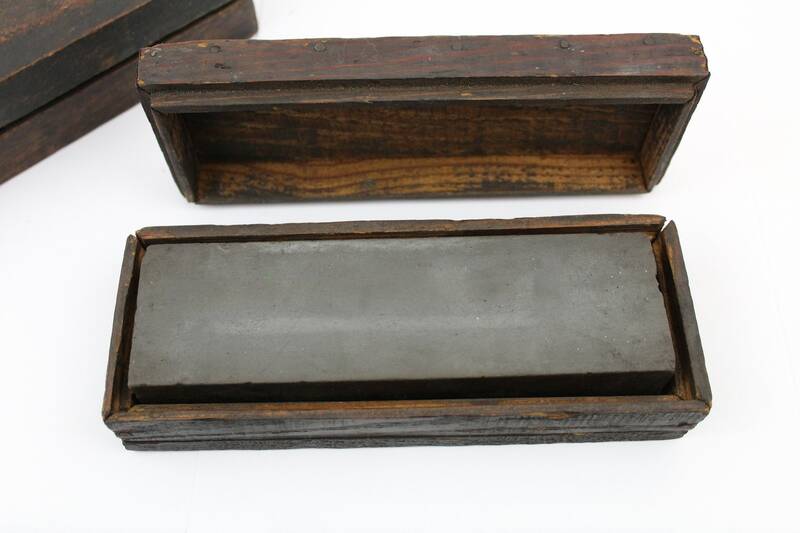 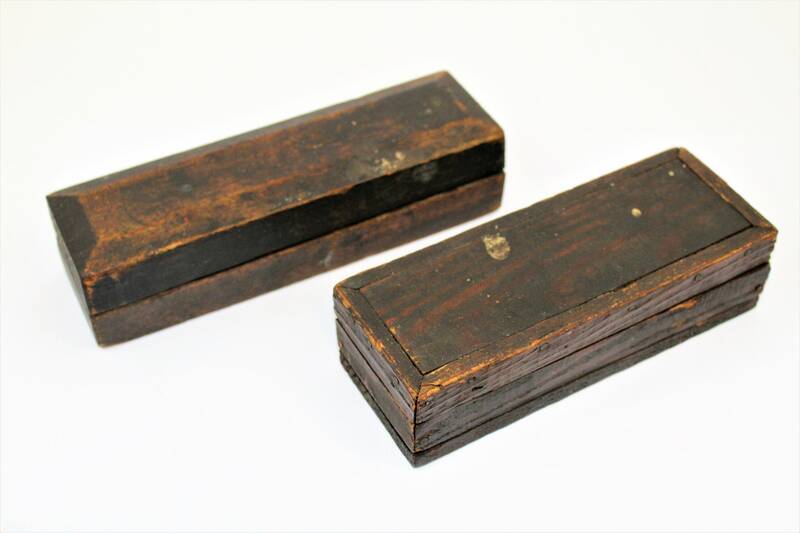 Two Antique oilstones, sharpening stones. 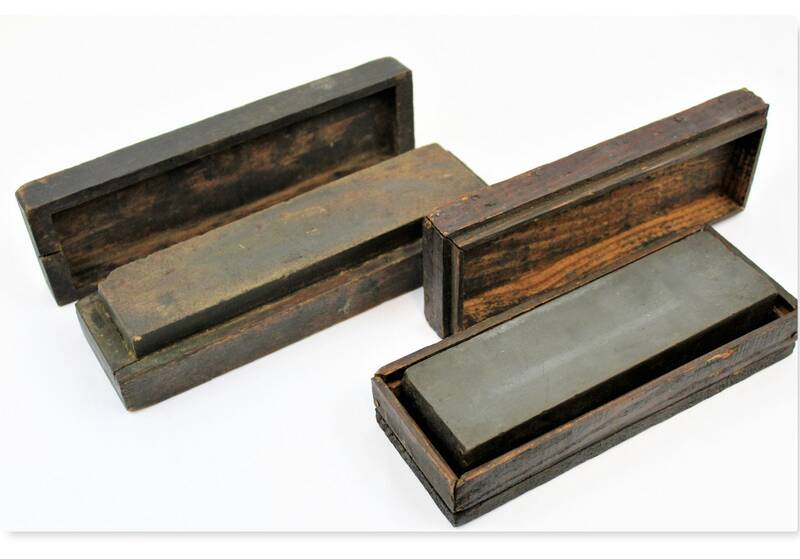 These are Oilstones for sharpening knives, straight razors and other tools. 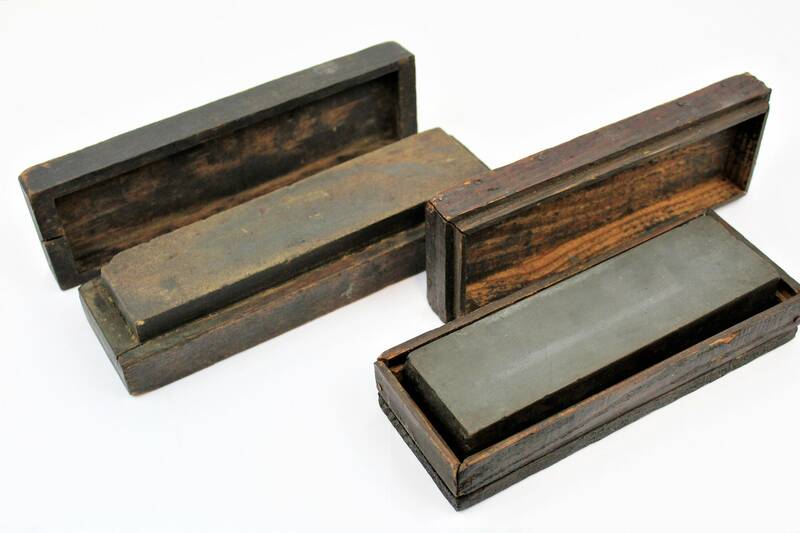 These are in wooden cases one is cut wood case and the other is a carved-out wood case. 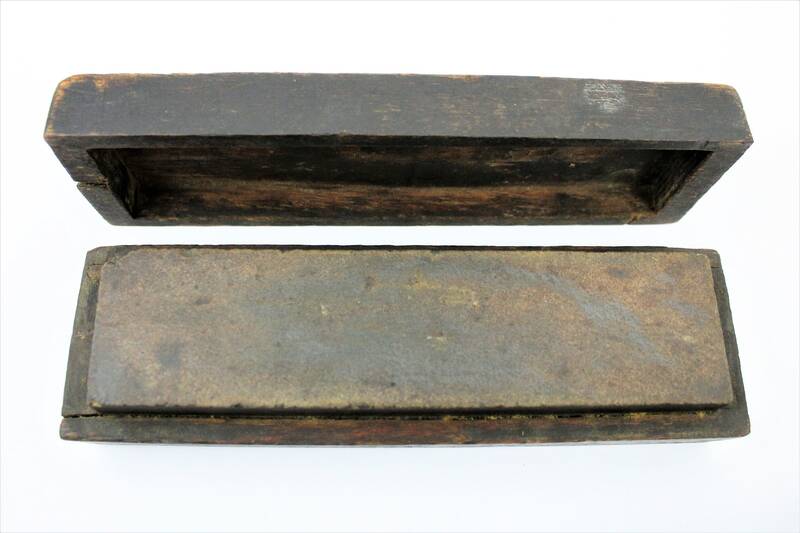 Condition; old and used with normal wear, Boxes are worn.